Ben Kingsley, Brenda Blethyn, and Hannah Taylor Gordon star in the stirring tale of one of the most influential young women of the 20th century. Based on Melissa Muller's critically acclaimed book, Anne Frank goes beyond the story you already know and paints the true portrait of Anne both before and after she went into hiding. Anne Frank: The Whole Story delivers exactly what it promises: the incredibly moving complete story of Anne Frank, going beyond what the Jewish teenage girl wrote in her widely read diary. Anne, along with her family and friends of her family, hid in a secret annex behind her father's office in Amsterdam during the Nazi occupation of Holland. She dutifully kept a diary, which became a worldwide bestseller when her father published it in the 1950s. 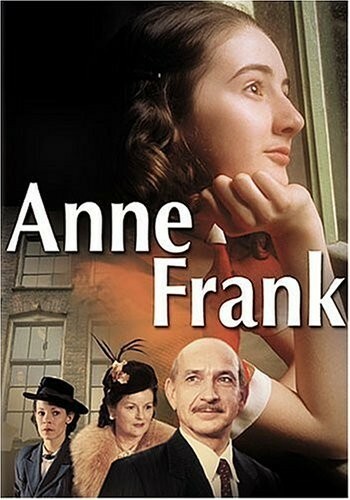 The story has been adapted for television and movies before, but this version, which played on ABC television, moves beyond what Anne wrote, meeting up with the Frank family before Anne receives her diary, and following her past the diary's last entries into Auschwitz and Birkenau. Hannah Taylor Gordon is a superb Anne, bringing to life the multifaceted girl, in turns intelligent, dreamy, creative, spoiled, and bratty, a girl like any other except that Anne is a Jew in Nazi-occupied Holland.